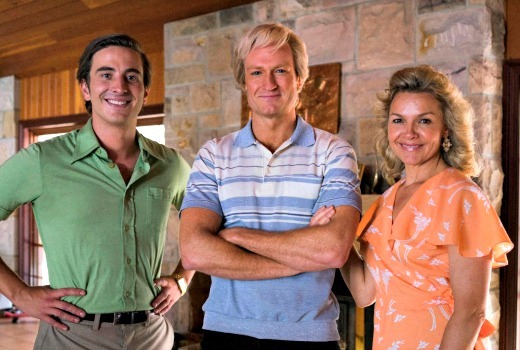 Blue Murder: Killer Cop, Hoges: The Paul Hogan Story, plus bio dramas on Olivia Newton-John and Warnie are dramas joining renewals for The Secret Daughter, 800 Words, Home and Away and Wanted on Seven in 2017. My Kitchen Rules, House Rules, First Dates and Seven Year Switch will be joined a by a new untitled wedding reality series. Also new are Million Dollar Cold Case, Yummy Mummies, The Aussie Property Flippers and Murder Uncovered. 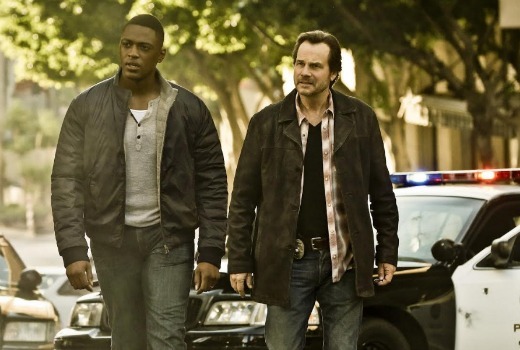 New international titles include comedy series Trial and Error and new action drama, Training Day. Richard Roxburgh reprises his heralded portrayal of Australia’s most notorious former detective Roger Rogerson in BLUE MURDER: KILLER COP, leading an all-star cast including Toni Collette, Matt Nable, Dan Wyllie, Emma Booth, Justin Smith, Damian Walshe-Howling, Steve Le Marquand, Aaron Pedersen, Aaron Jeffery – and reprising their original roles, Tony Martin and Peter Phelps. A floating body, a drug deal gone wrong, and two former detectives the perpetrators. Life imprisonment is the end of Roger Rogerson’s story. The last Blue Murder ended with his expulsion in disgrace from the NSW Police Force. In this instalment, Rogerson struggles to make a living in a world that’s rapidly changing, caught between the pressures of criminals, police and a love that might save him. Written by Peter Schreck, directed by Michael Jenkins, produced by Michael Jenkins and Carol Hughes, and executive produced by John Edwards, Richard Roxburgh and Julie McGauran, BLUE MURDER: KILLER COP is an Endemol Shine Australia production for Seven, made with the assistance of Screen Australia and Screen NSW. Shane Warne is a walking tabloid headline. Women, parties, women, high-life and women. He loved being married but couldn’t help himself. And as he rolled from scandal to scandal he was also, through all this, the greatest cricketer of his generation. WARNIE explores the paradox that is the most admired, criticised and publicised Australian sportsman of the century. Written by Matt Ford, produced by Kerrie Mainwaring and executive produced by Rory Callaghan and Julie McGauran, WARNIE is a Screentime, a Banijay Group company, production for Seven, made with the assistance of Screen Australia and Film Victoria. 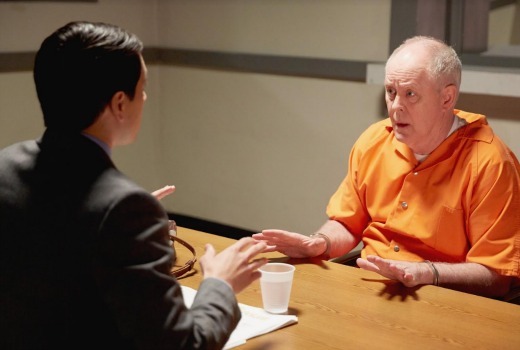 800 WORDS continued to charm in 2016 with a combined average audience of 1.5 million. When the series returns in 2017, George (Erik Thomson) is finding his place among the eclectic folk of Weld, as he raises teenagers Shay (Melinda Vidler) and Arlo (Benson Jack Anthony). George and Fiona’s budding relationship is headline news, however it’s Jan’s budding baby news that really sets the town alight. There’s new faces as George’s wayward brother arrives in town, but is that too many Turners for Weld to handle? Returning in 2017 for a second series, THE SECRET DAUGHTER is currently the number one drama on Australian television. Starring Jessica Mauboy as part-time country pub singer Billie Carter and a stellar ensemble cast, the popular drama has captured everyone’s hearts with its warmth, humour and music. In 2016, SEVEN YEAR SWITCH was number one in its timeslot each week with an average combined audience of 1.479 million. The breakout hit series returns in 2017 with four new couples who are on the brink of separation. They will put their relationship on the line in order to save it, living with a like-minded new partner in an experimental marriage, to help them decide if they would be better off with someone else. Viewers will learn about each of the couples – how they met, how they fell in love, how their relationship took a turn for the worst and why they are willing to risk everything to mend it. Therapists Jo Lamble and Peter Charleston return to assess the relationships and support them as they adjust to living with an experimental partner. At the end of this social experiment, each of the couples will reunite and make the decision to either part ways or reaffirm their commitment for life. Also back on Seven in 2017: HOME AND AWAY, THE CHASE AUSTRALIA and BETTER HOMES AND GARDENS. Seven’s commitment to an expanding presence in sport builds on the network’s unprecedented new agreement with the International Olympic Committee. Seven is the network of the the XXIII Olympic Winter Games in PyeongChang in 2018 and the Games of the XXXII Olympiad in Tokyo in 2020. Seven is also the home of the Commonwealth Games on the Gold Coast in 2018. Seven’s agreements for the Olympic Games, Paralympic Games, Commonwealth Games on the Gold Coast and the World Swimming Championships join the company’s long-term commitment to the National Football League, including the Super Bowl, The Masters, Royal Ascot and Wimbledon as major international sports franchises for Seven. Seven also has all-encompassing agreements for coverage of the Australian Football League Premiership Season, Finals Series, the Grand Final and Brownlow Medal, and the local Australian Rules Football competitions, the West Australian Football League, the Victorian Football League and the South Australian National Football League, the Bathurst 12 Hour Endurance Race, all major horse racing events including the Sydney Easter Carnival, the Stradbroke Handicap, the Melbourne Spring Carnival and the Melbourne Cup Carnival, the Sydney-Hobart Yacht Race, all major Australian golf tournaments, the Stawell Gift, the Cadel Evans Great Ocean Road Race, the New South Wales Shute Shield in rugby, and all major tennis tournaments in Australia including the Australian Open and the Davis Cup. Seven also has all-encompassing rights to swimming in Australia and is the network of the Australian Swimming Championships. Seven today confirmed Platform 7 – the company’s new digital content division creating bespoke digital content for all social networks and audiences. Platform 7 is a new form of delivery of content from Australia’s leading content creators, Seven Productions. It will seek to tell new stories, with new talent to new audiences through original digital first formats; while also offering clients new ways to integrate their brands into bespoke digital content. The only thing missing with all these new shows – High Definition! Advertisers – please take note. I won’t be watching a single one of those programs unless they go HD. Network bosses wonder why people are taking up streaming, can you blame them. 4 channels and yet they hold back airing new material. Its not the 70s now. If it aired somewhere in the world yesterday we should see it today. I personally think Aussie dramas generally starting around 8.45 to 9pm is waste. Most the population is in bed or on the net at that time of night. One network should have the guts to stick in the 7.30 to 8.30pm timeslot. I hope Ten comes up with a better array of programs. Nothing about renewals for their existing factuals (Border Security, Highway Patrol, etc.) Considering they’re the go-to fill in shows when something else flops, maybe its just a given! Interesting only two new international series announced. Those US network dramas ain’t what they were to Seven back in the Lost/Desperate Housewives days I guess. Note the headline says “highlights.” This is not the full slate and Seven never announces everything. Last year for example it did not announce Seven Year Switch which has turned into one of their bigger successes this year. Looking forward to new seasons of 800 words, wanted & secret daughter. Those crime dramas sound good & the mini series on Warnie, Olivia Newton John & Paul Hogan do too. Would have thought Warnie would be on 9 though. Will the Big Music Quiz be on next year? Plus they’ve got the #2 breakfast program! ? Why are Australian networks not more organised and advanced with series development when they have these Upfront announcements by now. I understand the US system has been going for decades, and I’m not really expecting Australian networks to be able to organize themselves to that degree – as to be honest our networks often seem to operate haphazardly wit not much planning or foresight. But these Upfronts have been happening for about 5 years now. I don’t think Aussie networks film pilots though do they? That is where all the trailers come from at the US upfronts. There is also a bit of a difference between an upfront where primarily you’re promoting shows that are largely being rolled out in 4 months, and an upfront that due to Oz’s staggered schedule will have (if you’re lucky) a quarter of the titles airing in February. I saw a number of clips yesterday but I am advised they are not for public release as yet. nothing on 7 lineup for next year has got me excited. 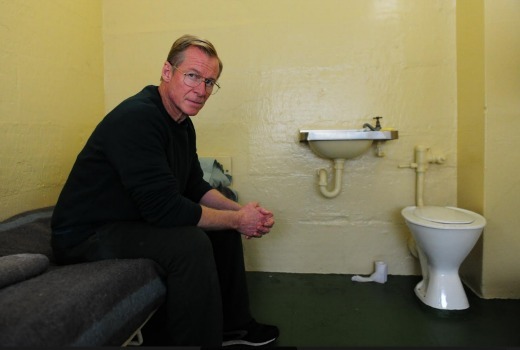 Looking forward to Blue Murder, Wanted & the new crime doco series with Michael Usher. It won’t happen now of course but I wish 7 had showed some foresight when they ran The Real SeaChange a decade or so ago. Would love for them to have taken another look at how the SeaChangers coped with their new life some 12 or 24 months later. Well some stuff I am excited about. I always like the telemovies, so I’ll hang out for those. Property Flippers obviously inspired by 9Life. That and Yummy Mummies both seem like they belong on 7maaaate. I’m interested in the true crimes shows – both sound like the same show though. Most of The reality stuff is the usual dross, and uninteresting to me. Although – it has to be said – I did catch some of First Dates. With all of Seven’s romance shows, and Nine’s extended Married at First Sight, they will saturate and Kill the ‘romance’ category in 2017. Let us know when they are going to go HD in Sydney instead of wasting it on AFL and duck dynasty that few people watch in Sydney. I fear that X factor might not be renewed for 2017 due to declining ratings. You are speculating. I asked. It’s too early for TXF as yet. Unless it improves dramatically, difficult to see X factor returning. Well this all looks like a snooze. Looks like more dust will gather on the 7 button next year. I like that Shawn Seet is involved with the ONJ mini-series after Deep Water but I’d like to know who they have selected to play Olivia. Just waiting for Seven to announce a mini-series about David Koch called Kochie – The Financial Years and then the follow up Doyle’s War. Hah. Good one. I guess S3 could be Dad’s Armitage?